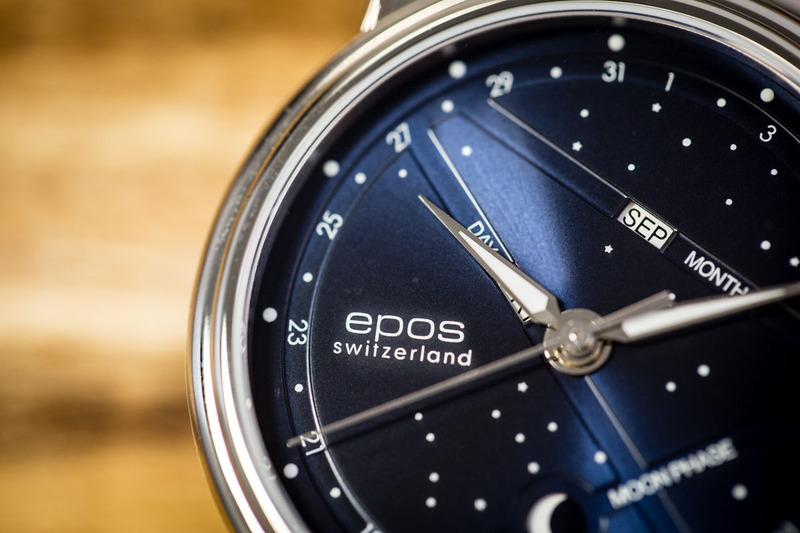 The timeless design of the EPOS 3391 Blue Stars gives the timepiece a character of its own. 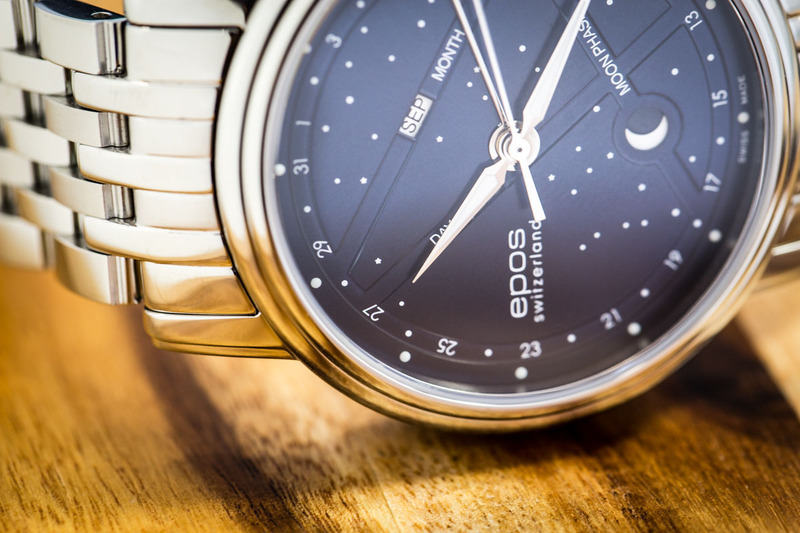 The dial with its clear night sky is a real eye catcher. 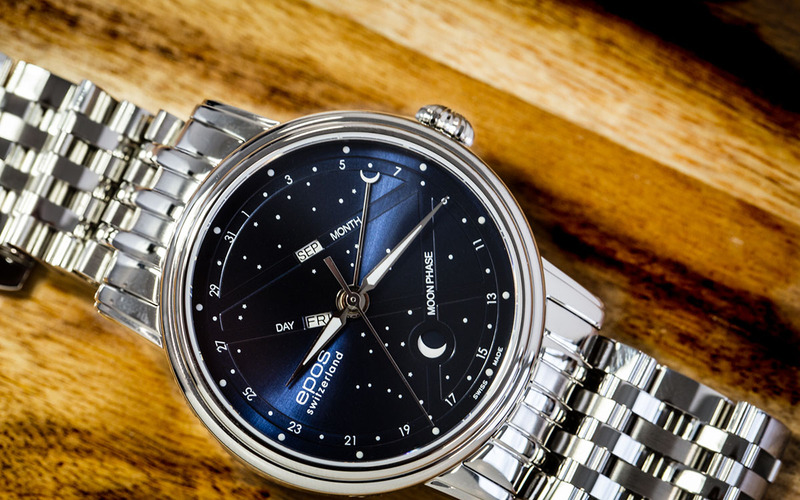 Its design strengthens the modern interpretation of the moon phase indication, which is located at 6 o’clock. Moreover the several complications underline the characteristics of a month over the course of time. For instance there’s the day of month indication of the half moon shaped hand. 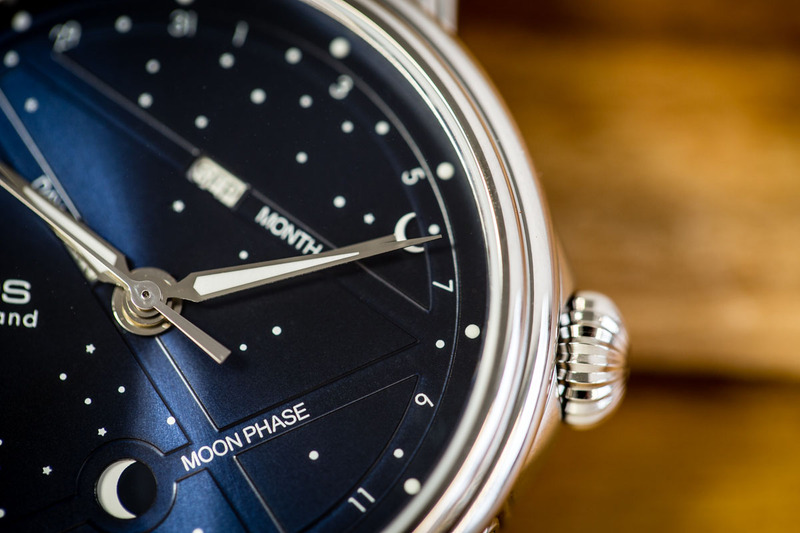 Between 10 and 11 o’clock are the date pointer and month indication, aligned in an unusual angle. 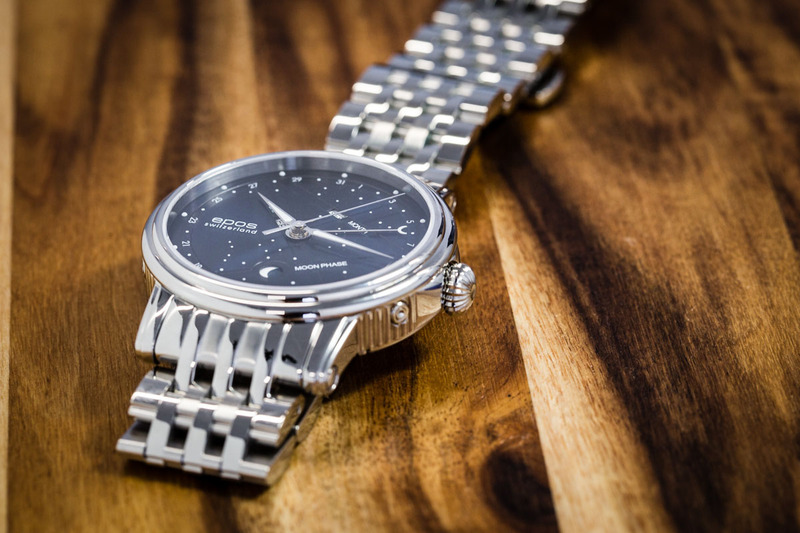 The stainless steel case adds a classic and elegant impression to the watch. 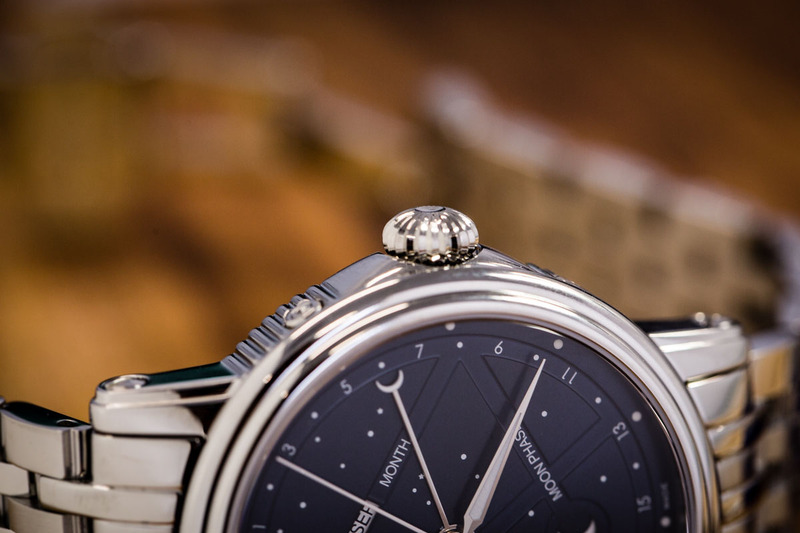 The timepieces’ strong character is finalized by the modern crown, which has a unique, roundish shape, almost merging with the classic case. 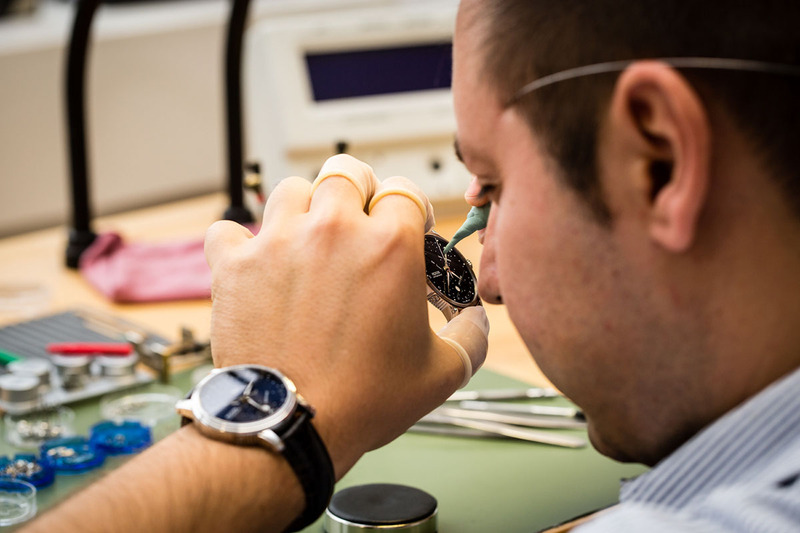 The EPOS bestseller is our watch of the month and that’s why we had detailed look at some of its manufacturing processes. 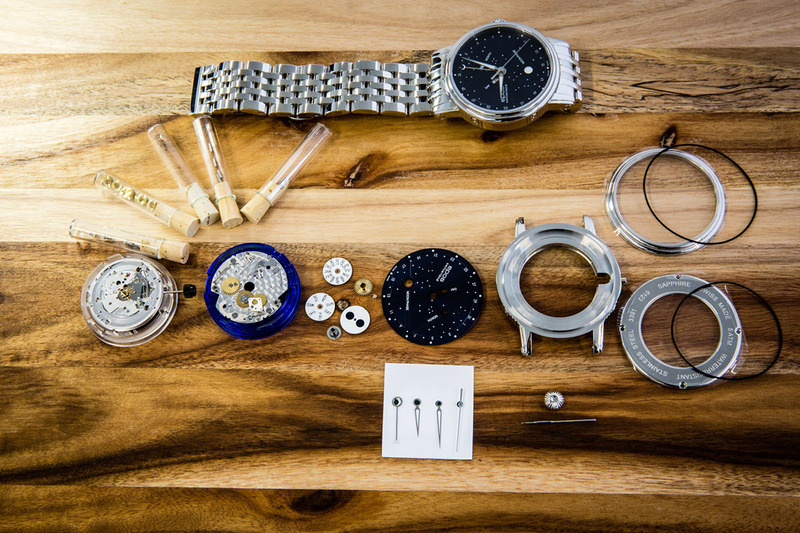 All the main components at a glance: from left to right, there are the front and back of the ETA 2892 movement, modules (month, day and moon phase indication) and the blue sky dial with the hands. 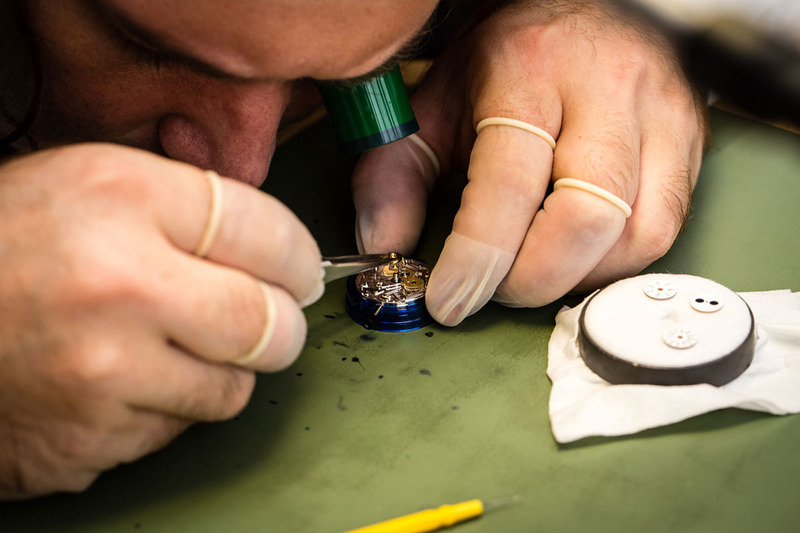 At the far right are the elements of the case with the roundish crown. Several complicated and time-consuming tasks lead to EPOS 3391, visible at the top. 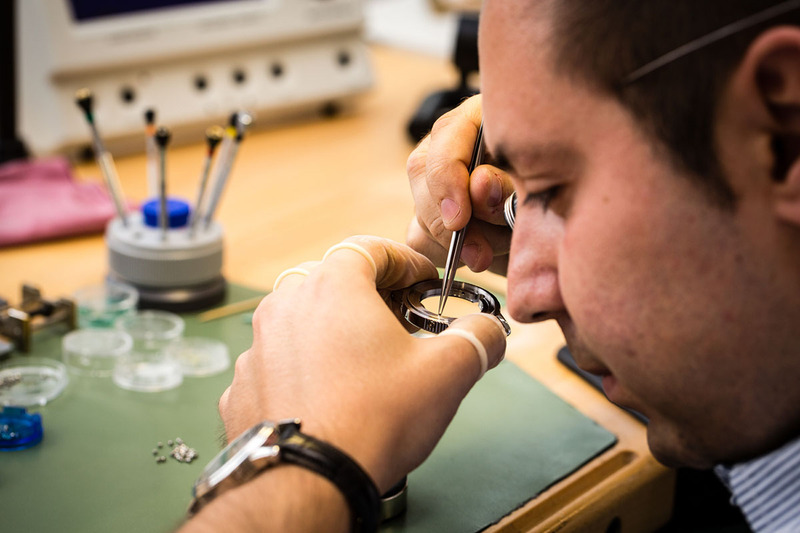 One of the main steps is the finalizing of the movement. 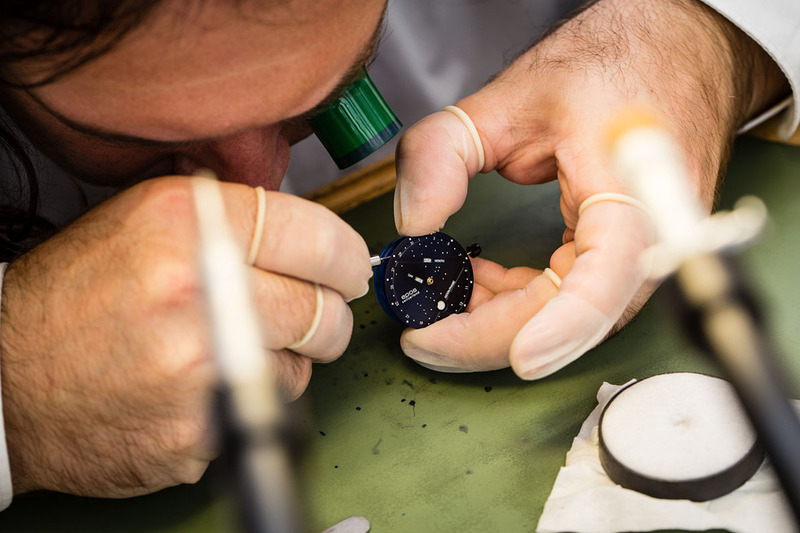 The task includes the assembly of the moon phase, month and day modules on top of the movement. 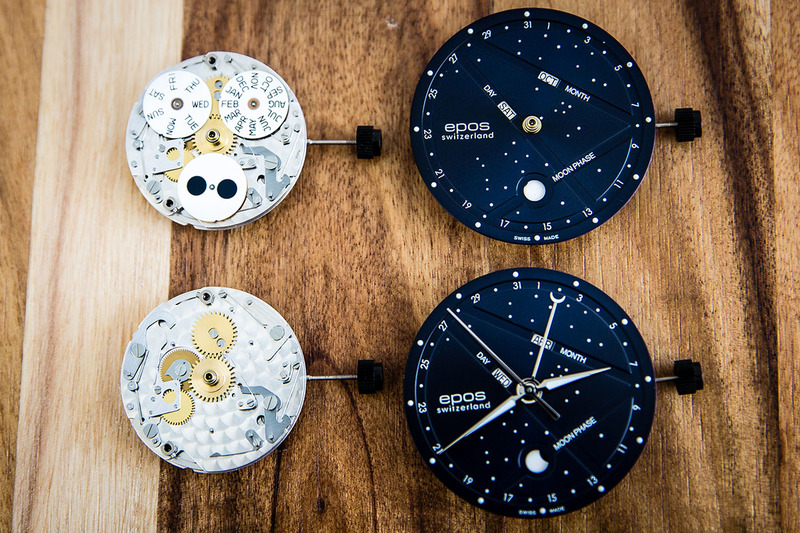 After that the blue sky dial and the hands are placed on top of the movement and modules. A steady hand is required, as it’s a highly complex tasks. 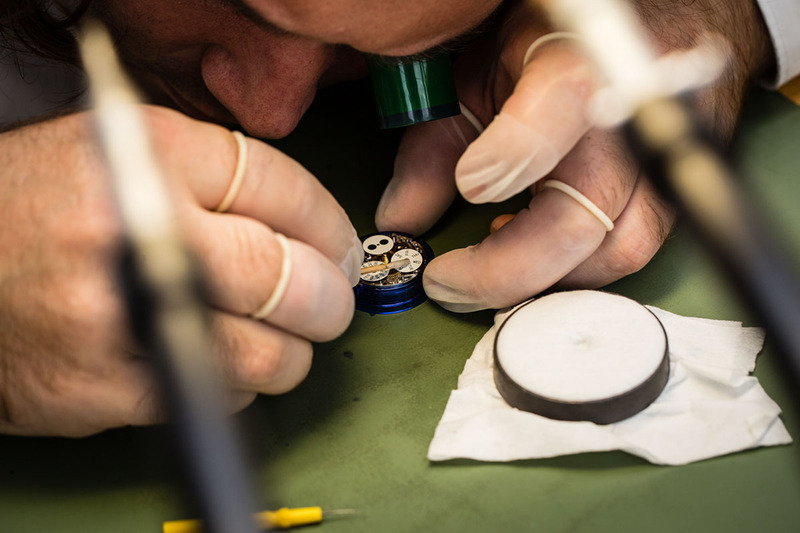 During this step the modules are placed on top of the movement. 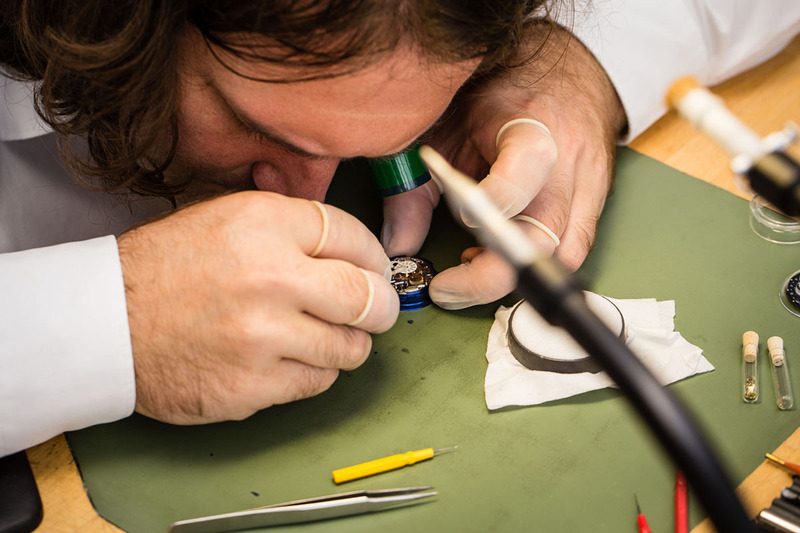 Our watchmakers work with tiny screws and instruments, mostly only visible through a strong magnifying glass. 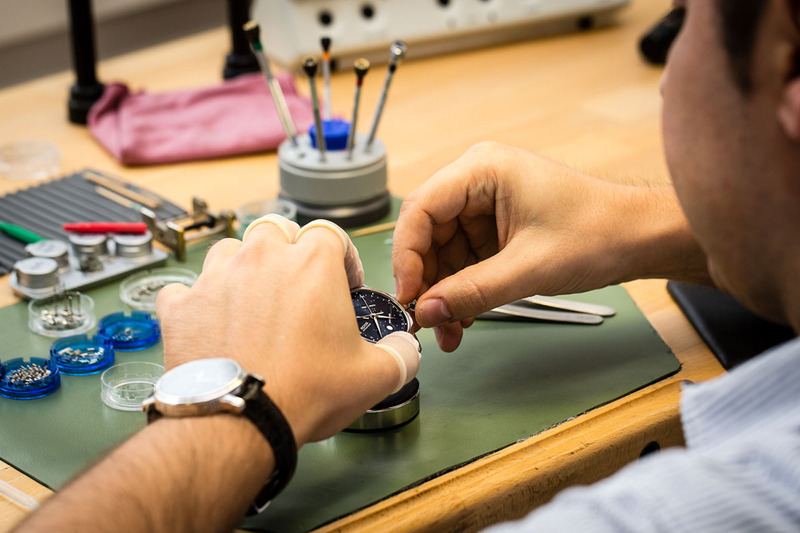 Here the watch designs’ heart, the blue sky dial, is placed with great care on top of the modules. 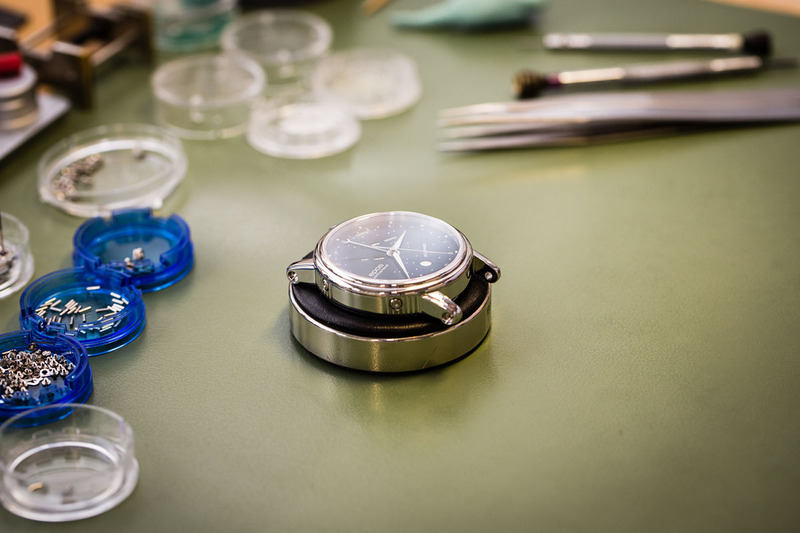 As important as the movement is the stainless steel case, giving the timepiece a continuous design. 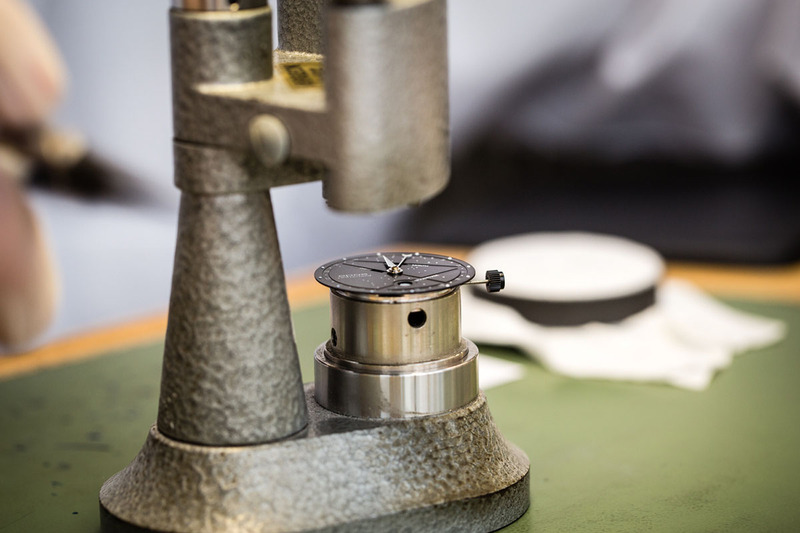 Our watchmakers take great attention to detail, so that the movement fits perfectly into the housing. 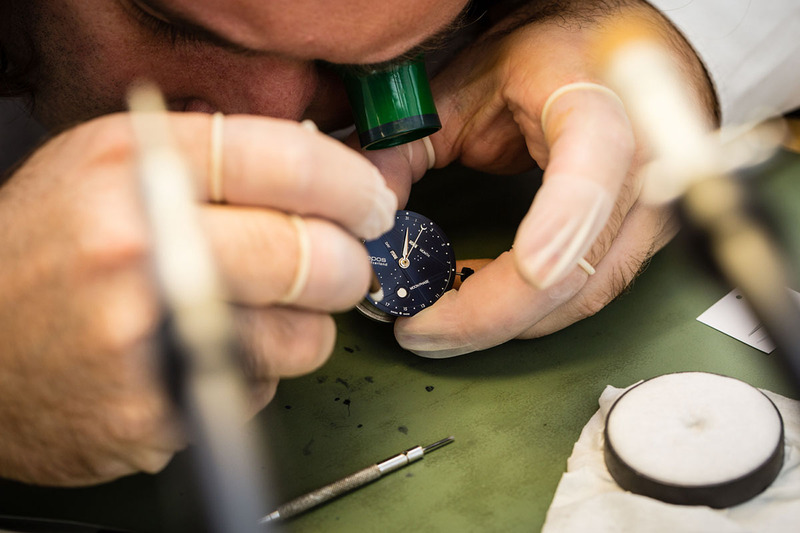 At the end the scratch-resistant sapphire crystal glass is applied to the watches’ top. 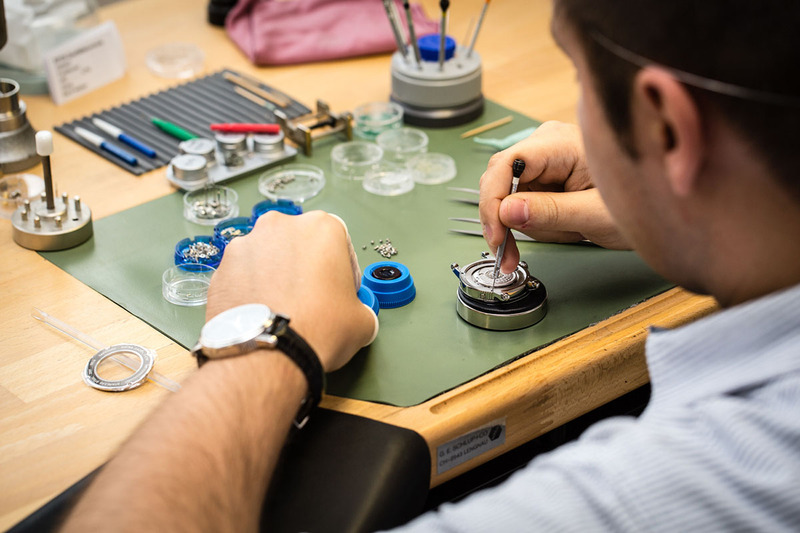 As its new owner is eager to see the beautifully decorated movement, a see-through mineral glass is installed at the case back. 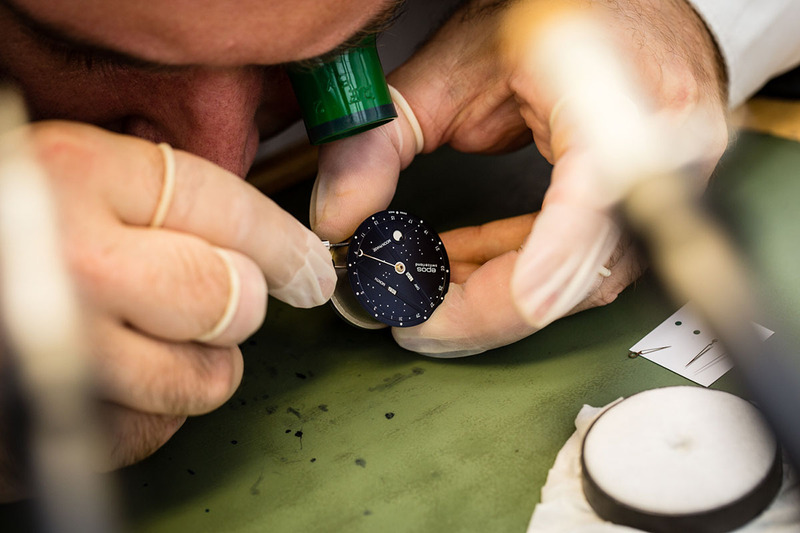 After the stainless steel strap is attached – the EPOS 3391 Blue Stars is extensively tested over several days to make sure that its lucky new owner receives a high quality Swiss Made watch. Click HERE to get more information about EPOS Emotion 3391 Blue Stars.